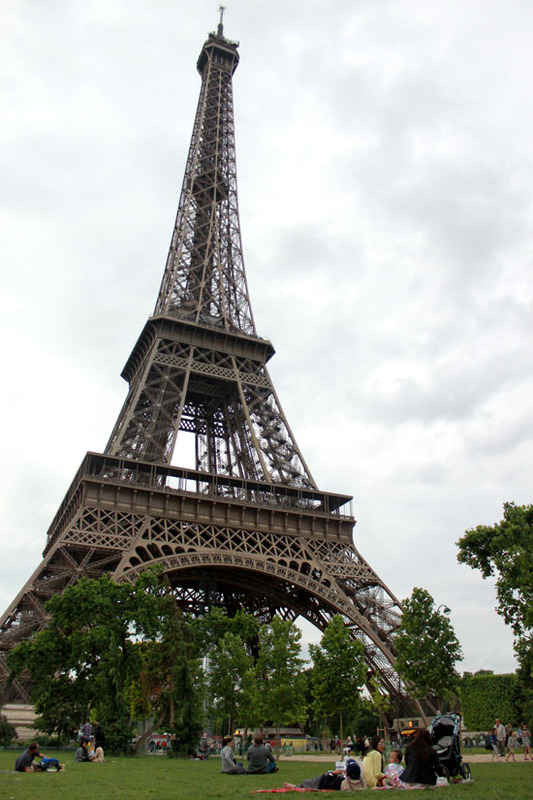 Here are a few of my favorite pictures I took of the Eiffel Tower during our stay in Paris. The first time I saw her was at night. All light up. Under a misty sky. And pouring rain. It was nothing short of romantic. You spend your whole life seeing pictures of this global icon, and to stand before her, is kind of a dream come true. The last shot did you do on a tripod self timer? Love it! I've always wanted to go to Paris I took french in HS...I've never been to another country other than Mexico! That last shot is a framer! Your blog is absolutely adorable! I love Paris wholeheartedly and can't wait to move there. Continue having a blast and keep the lovely pictures coming! I must say I am quite jealous! Oh my gosh that last photo is so romantic! What a great shot! beautiful! 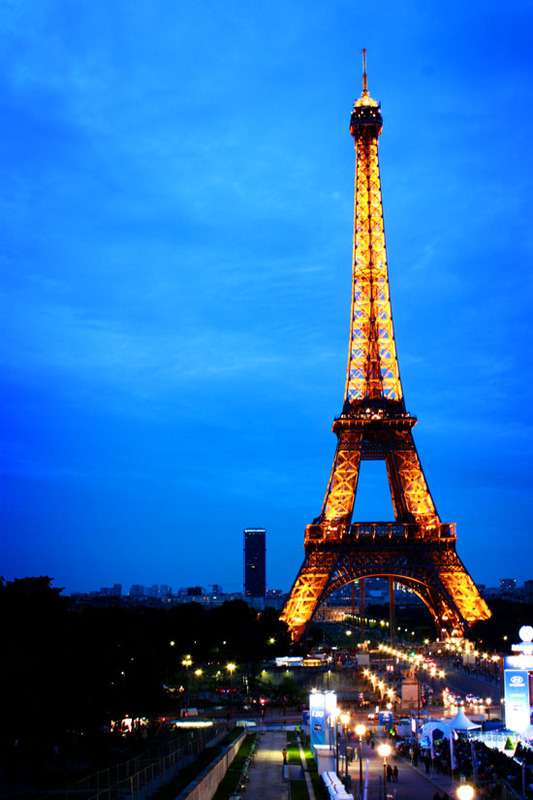 can't wait to october... the eifel tower is soo amazing. jaw dropping photos! I can't wait for the chance to take my own shots!! how i long for that day! your pictures are incredible!!! Oh my gosh, looking at your pictures is giving me such intense Paris envy! I miss it so! These pictures are so pretty and Paris looks magical! The last picture is so romantic! So cute! 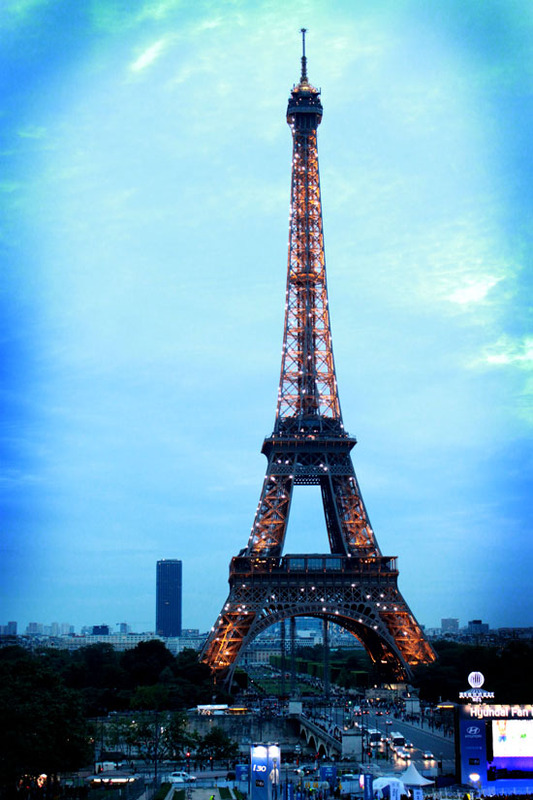 I hope one day I can visit the Eiffel Tower! the last shot literally made me go awwwwwwwwwww out loud so cute!!!! wow breathtaking photos of the eiffel tower! 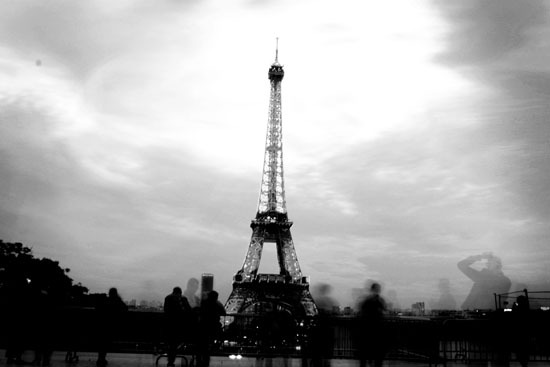 how i wish i could go to paris and be in front of this wonder of the world! OMG your pictures are GORG! LOVE the last shot! I love that all these pictures are your own. The last one is so sweet!! I just found you today via O My Heart. How lovely :) It's adorable that you got kissing pics where ever you went together! AHHHH! these pictures are driving me crazy! I'm just dying to go to Paris! Love. every. picture. Such beautiful pictures! So glad you had a great time. I can't wait to see Paris - one of these days! These pictures are fantastic - and that last one is so sweet! If you don't mind me asking, what kind of camera do you use? Love these photos. Reminds me of one of my favorite memories of my semester living in Paris - when we finished our classes, we had a picnic on the lawn in front of the tower and sat there sipping wine as the sun set. It was one of those "I can't believe this is my life" moments. Beautiful photos. Did you go up in the tower? gorgeous! You got some amazing shots. I must say, I am very jealous! Paris is at the top of my list of "must see before I die". All of these shots are fantastic--I especially love the black & white photo. Looks like it was a very special & romantic trip for the two of you! Wow, so pretty pictures!! My sister would die. It is her dream to go there. The last picture is so beautiful! I always have a kiss photo with my fiancé!